Could a Low-Cost iPhone Boost Apple’s Earnings and Market Share? Everybody knows that the iPad 3 is coming and Apple may be pitting suppliers against each other to assemble the next generation product. Apple is said to have awarded a contract to manufacture the iPad 3 to Taiwan-based Pegatron, according to a report from the Taiwan Economic News. If this turns out to be true and not a rumor (yeah, cuz rumors always end up being true), then this would mean that Apple is looking to reduce its dependence on long-time partner Hon Hai as the only supplier of the award-winning tablet that is dominating the market at the moment. Pegatron is already doing business with Apple actually. The company is responsible for building and shipping the iPhone 4 and has reportedly already landed a contract to construct the iPhone 5, whenever that may be. Hon Hai has been the predominant supplier of the iPhone and the iPad in the past, though Apple has been looking for an additional partner to take on the production of the device. This may be due in large part to the devastating explosion that took place at Hon Hai’s Chengdu plant back in May. Apple has faced issues with the iPad 2 as supply was unable to keep up with the increasingly overwhelming demand of the product. 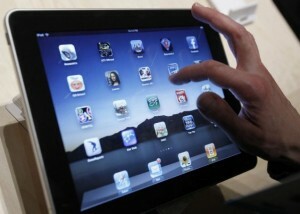 By branching out production of the iPad 3 to two different suppliers, the company is likely trying to avoid a similar situation with the iPad 3. Aside from adding Pegatron to its supplier list, Apple will also keep its current supply chain intact. The report pointed to TOK Holdings providing the touch panels, Simplo Technology and Dynapack International Technology the battery packs, Largan Precision the camera lenses and Foxconn the outer PC housings. 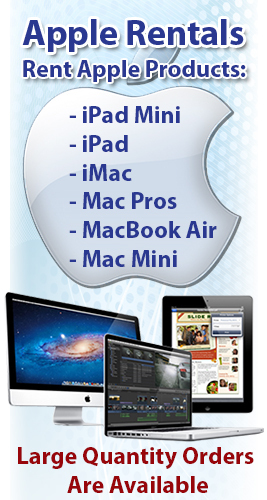 Computers, Desktops, Laptops, Servers and the latest in Portable Tablet PCs are available from your computer rental company, Rentacomputer.com. Talk to a Rentacomputer.com Tech Travel Agent Today!